Richmond Hill has a wide selection of things to do and see. A great mix of commercial development and residential communities, Richmond Hill contains a wide variety of restaurants, plazas, malls and community centres. As one of the fasted growing neighbourhoods in Canada since the 1990s, Richmond Hill has seen much growth and investment into amenities, infrastructure, business and commerce. It is widely regarded as a wealthy area, with many of the residents being employed in finance, high tech and healthcare industries. Richmond Hill is conveniently located just north of Toronto, and has easy access to major highways and top tier public transportation, making the town ideal for commuters. As a very diverse and multicultural community, Richmond Hill is home to a wide variety of international cuisine, and is a very warm and welcoming community for residents of all backgrounds. The community of Oak Ridges was formed with Lake Wilcox at it's core. The lake is at the headwaters of the East Humber River, and is the largest kettle lake on the Oak Ridges Moraine. 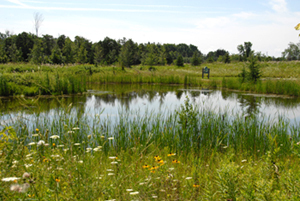 There are three community maintained recreational parks along the shores of Wilcox Lake. Jesse Venek Park, Sunset Beach Park and North Shore Parkette, fabulous locations to host a family picnic, or enjoy the view. Residents enjoy fishing, boating, kayaking, windsurfing, water sports and even skating on Lake Wilcox, providing recreation for everyone to enjoy. There are strong community groups like Oak Ridges Friends of the Environment and the Lake Wilcox Aquatic Habitat Enhancement Project that strive to maintain Lake Wilcox and ensure that it will be enjoyed for generations to come. A very popular attraction for the whole family. As the only indoor wave pool in the greater Toronto area, kids and adults alike will enjoy hours of swimming in four foot waves, playing on water mats, bodysurfing, and riding the 160 foot twisting water slide. If you are looking for something less active, the facility’s sauna is great for some well deserved rest and relaxation. This mall has everything for the whole family with a variety of retailers. Including the following; Hudson's Bay, Marciano, BCBGMAXAZRIA, Guess, M Mendocino, Melanie Lyne, Sport Chek, GoodLife Fitness, and Mastermind Toys. The food court has a lot of options as well with Panera Bread, Swiss Chalet, Thai Express, Mac’s Sushi, and many more. Browse through 135 shops, restaurants and services at the Hillcrest Mall. 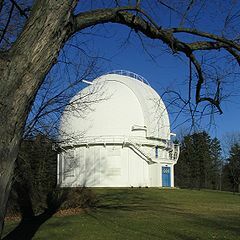 Built in 1935, the largest optical telescope in Canada is a popular tourism spot in Richmond Hill. The observatory has many educational programs, viewing nights for the public, and fascinating star talks on Saturday nights. Take a look through the largest telescope in Canada, a telescope that was used in 1972 to discover the first observational evidence of a black hole. Richmond Hill started as a small village that traces its beginning to the early nineteenth century. In 1830 the village had a little bit of everything, a chair maker, a bakery, two hotels, a store, a shoemaker, a bakery, a church, a cemetery and a school. Expansion took a pause during the first world war and depression years, but soon after the second world war the suburban phenomenon changed everything in a positive way. In the 1950s Richmond Hill began rapid expansion with the construction of many of its major subdivisions, leading to the establishment of Richmond Hill’s town status in 1957. The Richmond Hill Heritage Centre is an 1840s regency style cottage, fully restored to reflect this historical period. The house was the original home of Amos Wright, the first reeve of Markham Township. Stroll through the park and enjoy a nice picnic with the family. 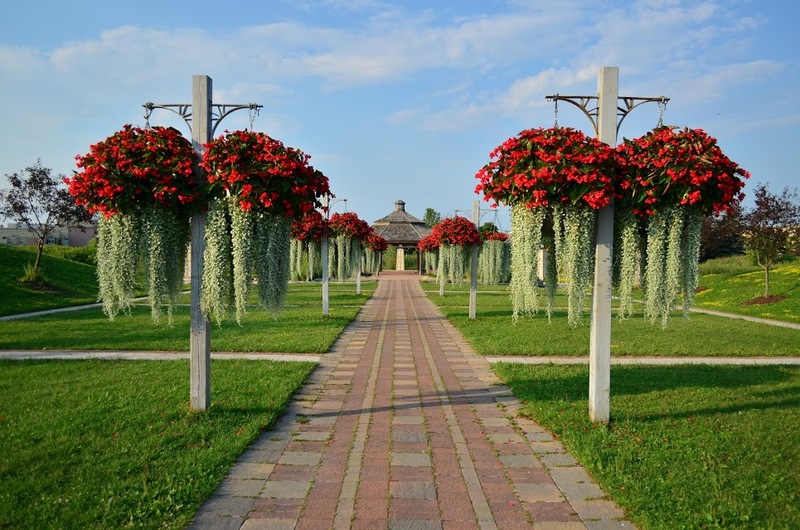 Richmond Hill has over 150 wonderful parks and amenities for residents to enjoy. These include golf courses, hockey arenas, soccer fields, swimming pools, water play areas, baseball fields, playgrounds and well as the popular wave pool that is available to the public all year round. For those that enjoy the outdoors, get the family and friends together for a picnic, or go for a walk or bike ride on one of the many nature trails in the area. Richmond Hill is home to many popular well known parks include Phyllis Rawlinson Park, Ozark Park, Mill Pond Park and Sunset Beach Park. 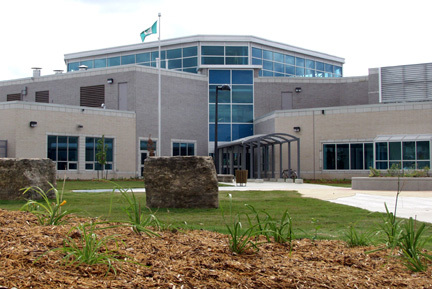 A unique, multi-use complex incorporates Red Maple Public School, Pope John Paul II Catholic School, Langstaff Community Centre, Discovery Parkette and Dr. James Langstaff Park. The facility includes a craft room, preschool Room, Yorkshire program room, Tollgate program room, and the Munshaw gymnasium with three gyms, kitchen and stage. The discovery parkette encourages children and adults to consider the constellations above us and experience textures, sights and sounds that surround us. The features in the parkette are the wind wall, the star walk, the moon walk and the sun circle. The perfect park for any outdoor events, from a large family reunion to a small relaxing picnic with numerous built-in barbecues and fire pits. This park includes several historic buildings, such as the original farmhouse and barn, which is one of York Region’s oldest designated buildings.